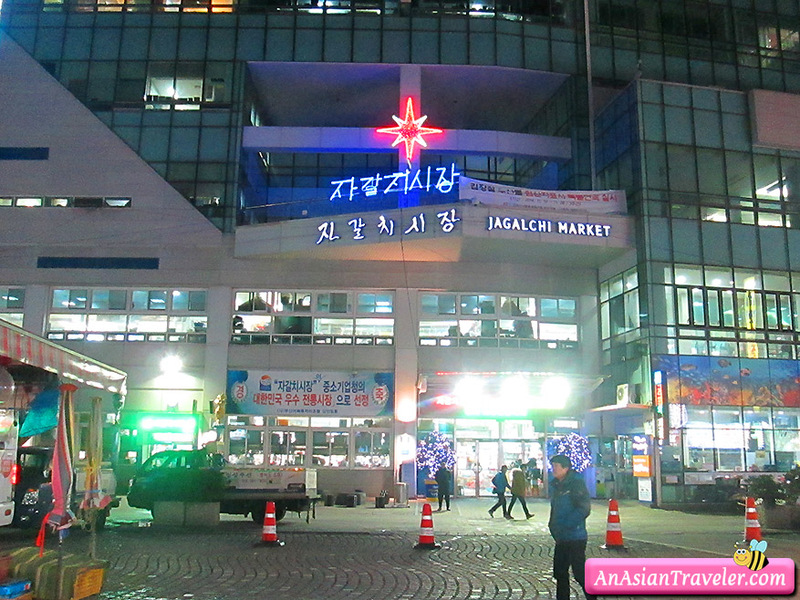 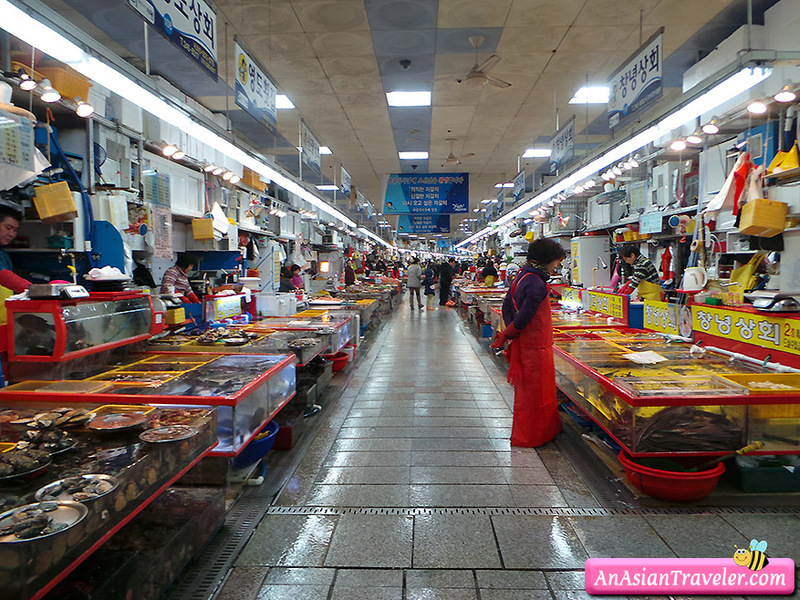 👫 Jagalchi market was a nice change of pace where you can see the real lifestyle of the Busan locals. 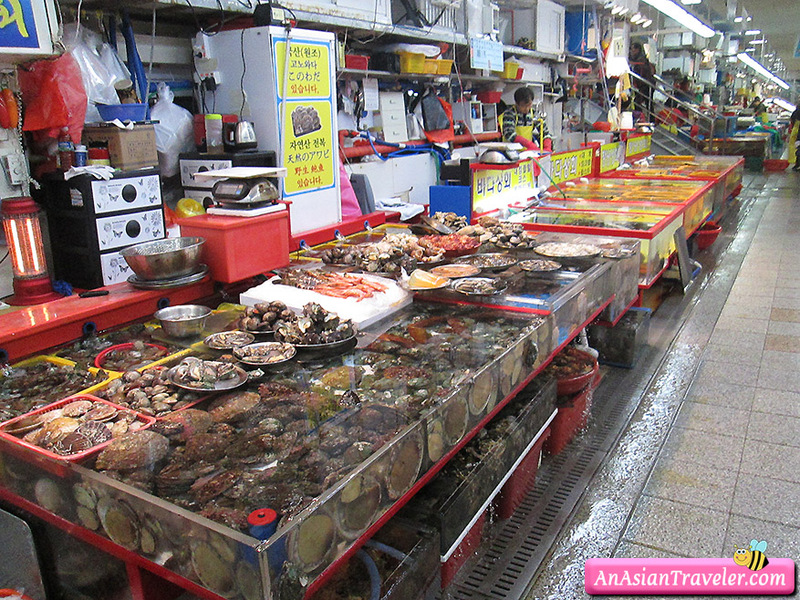 This is one of the largest seafood markets in Asia. 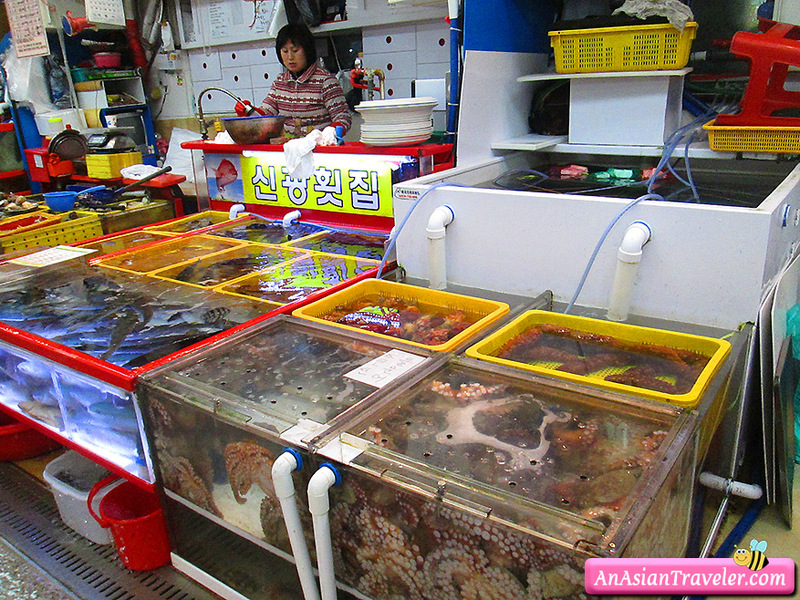 You'll find a wide array of fresh clams, mussels, sharks, octopuses, squids, shrimps, lobsters and so on. 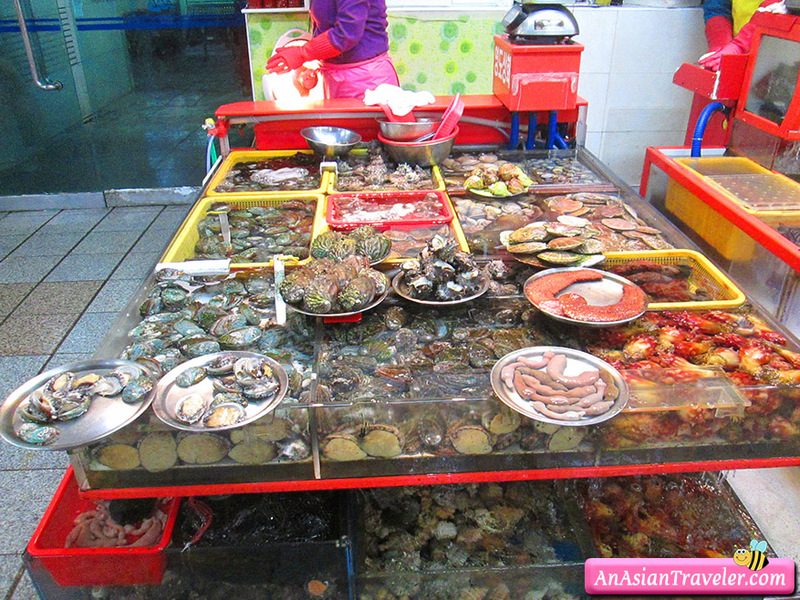 You can buy it fresh and proceed to the second floor and let them cook it for you for a minimal fee and dine there. 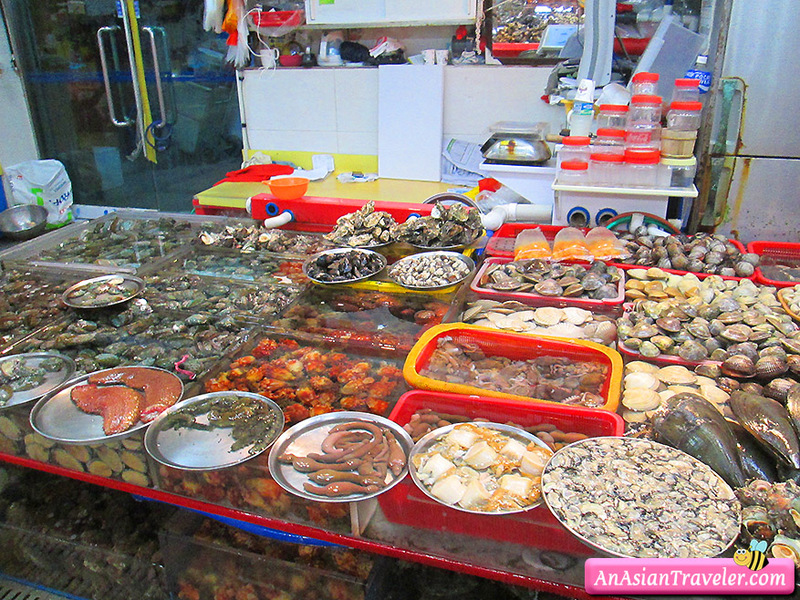 On the same floor you can also find the dried seafood section.